This method is only supported on BrightSign, LG and Chrome OS 66 and above devices. Ensure the device has been installed with Appspace App 1.40 and above prior to registration. Ensure device is switched ON, and connected to an active Internet connection. In the Configure Advanced Registration window, select Register with Serial Number(s) for the Deployment method drop-down menu. 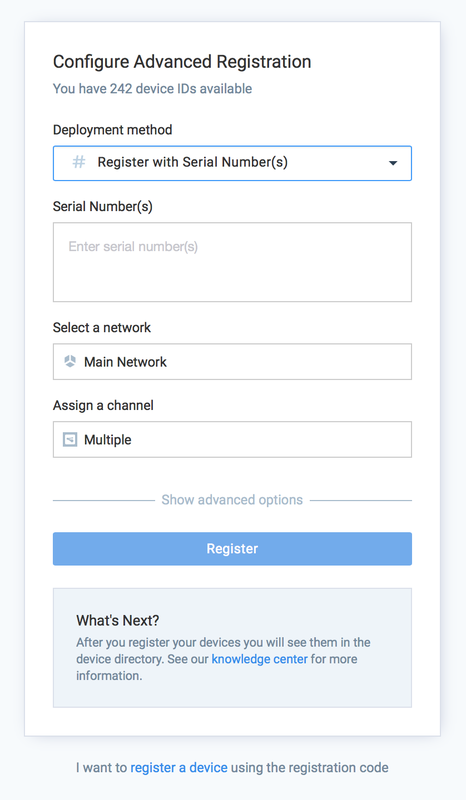 Enter in the device serial number(s) in the Serial Number(s) field. Multiple serial numbers from different manufacturers may be added together. 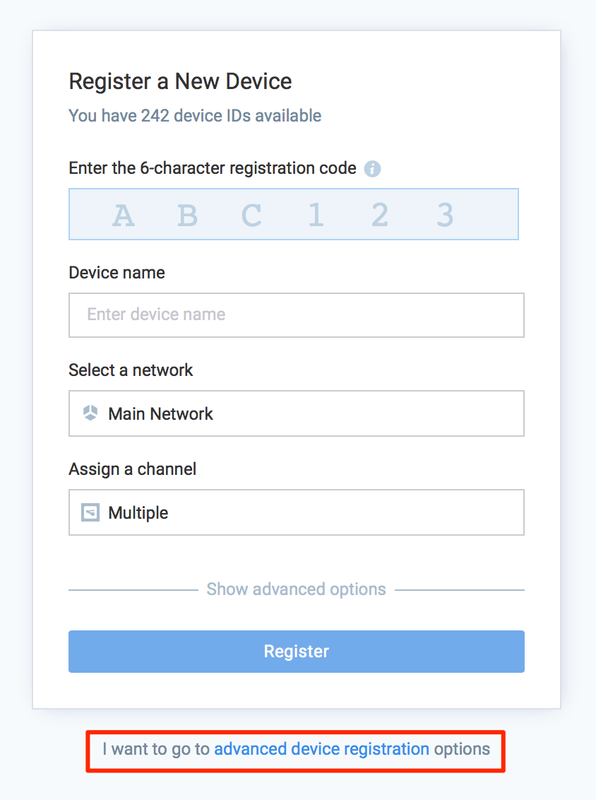 Click Register to register the device.